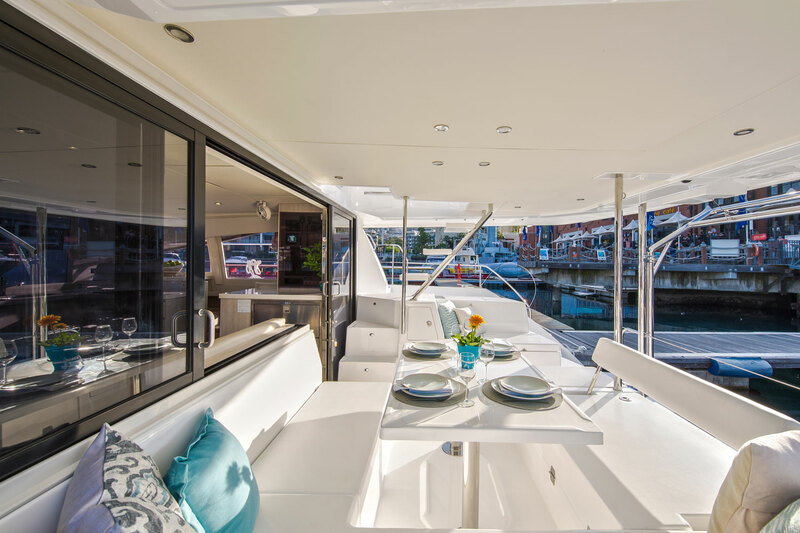 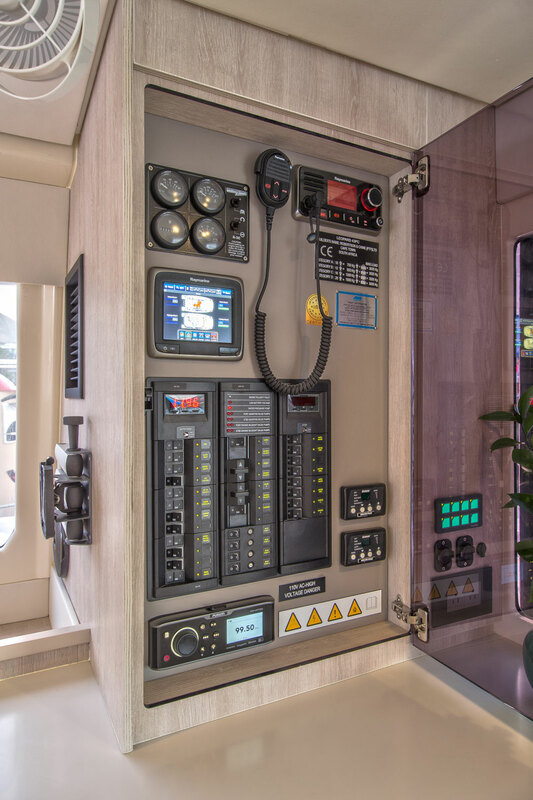 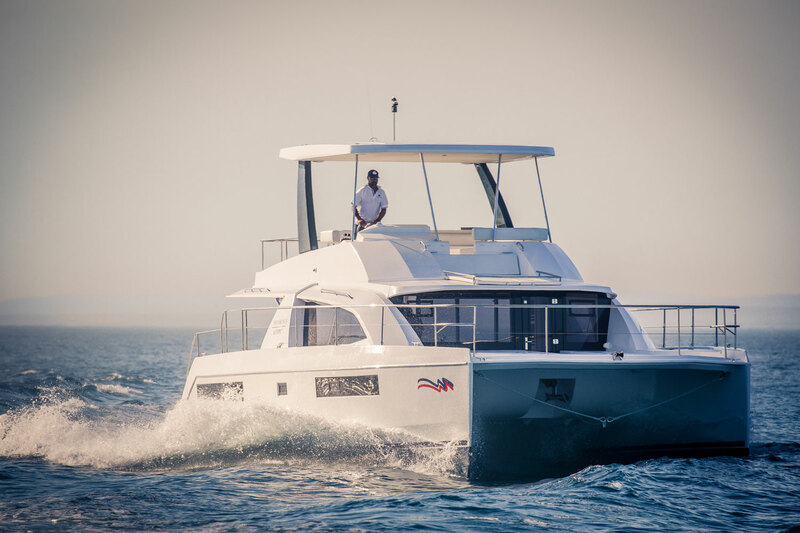 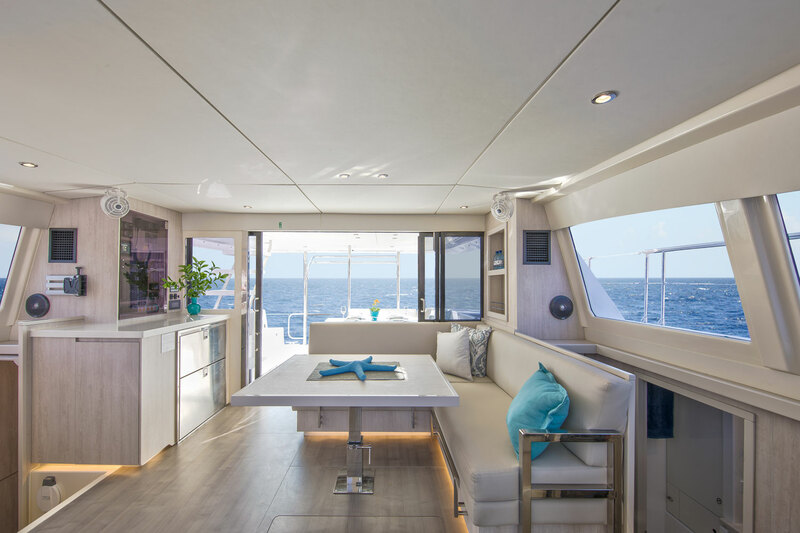 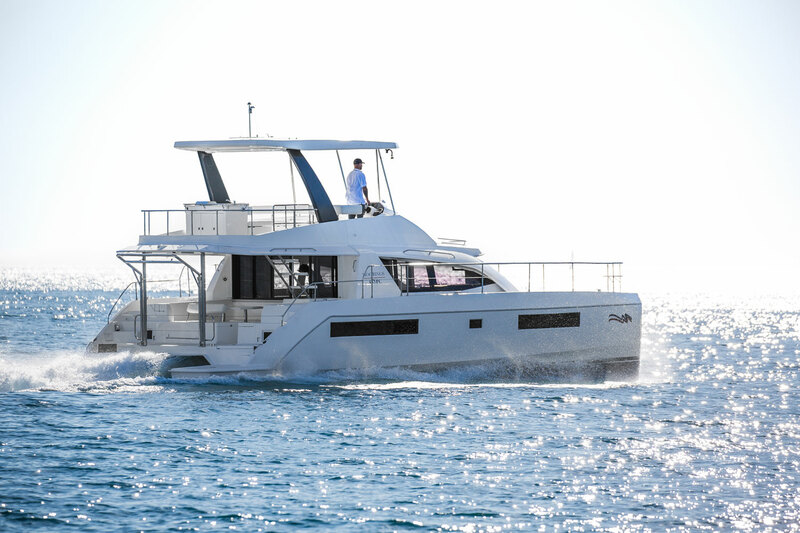 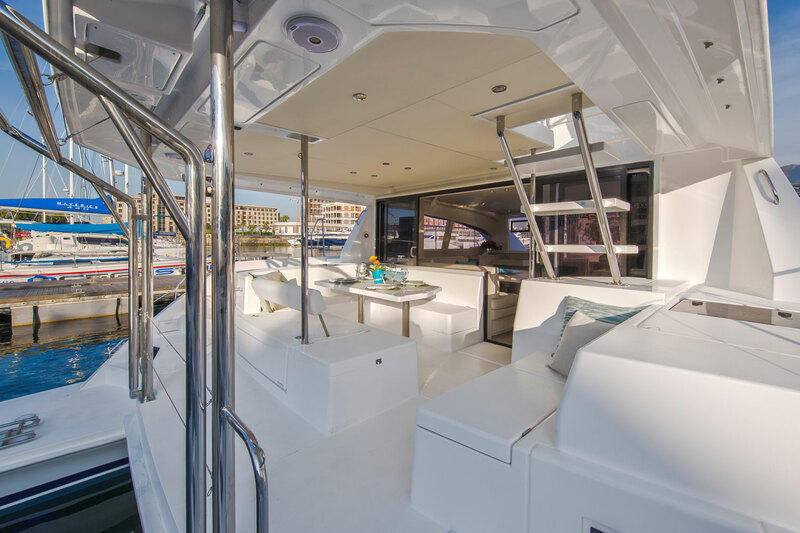 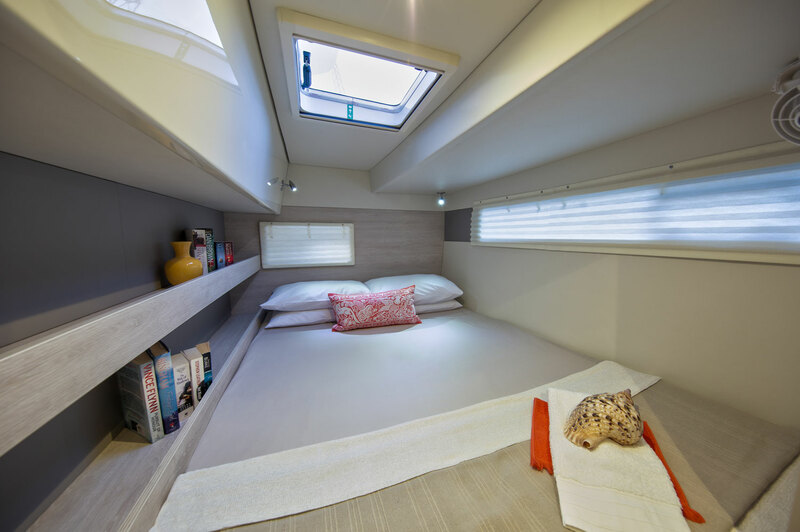 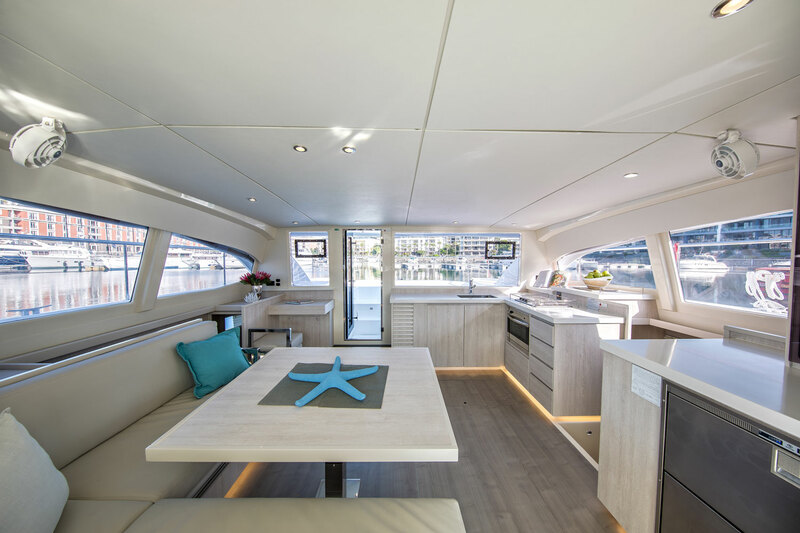 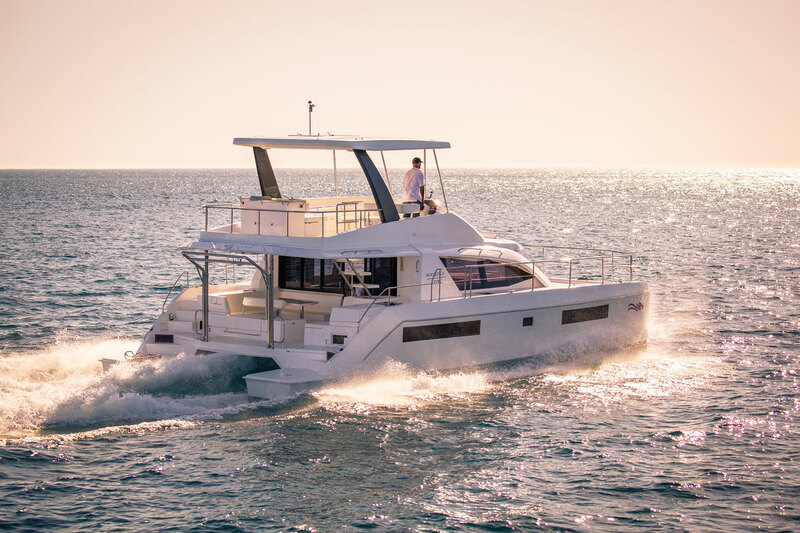 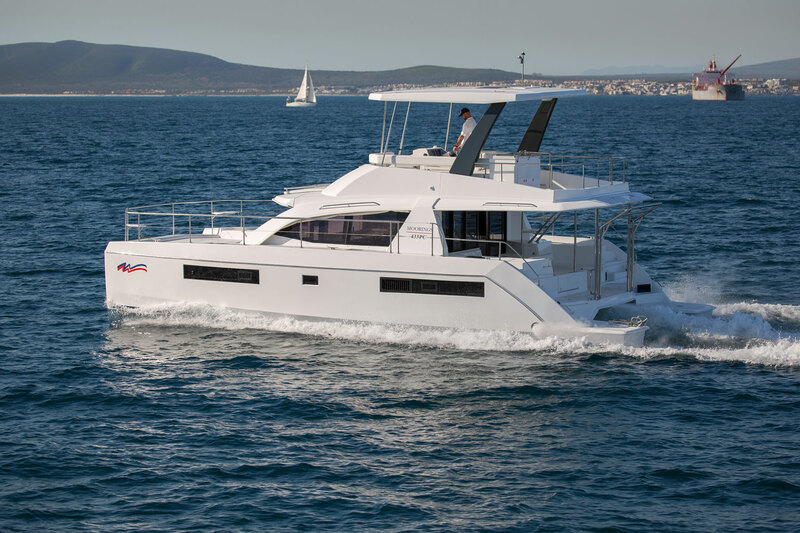 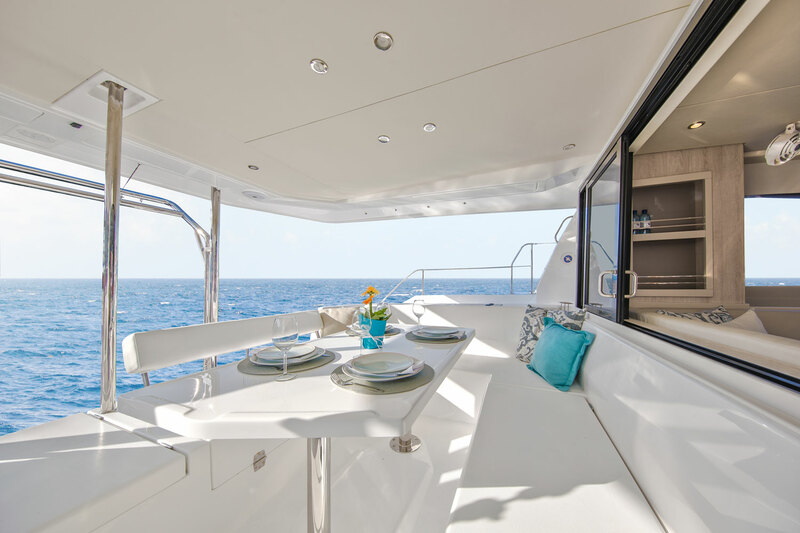 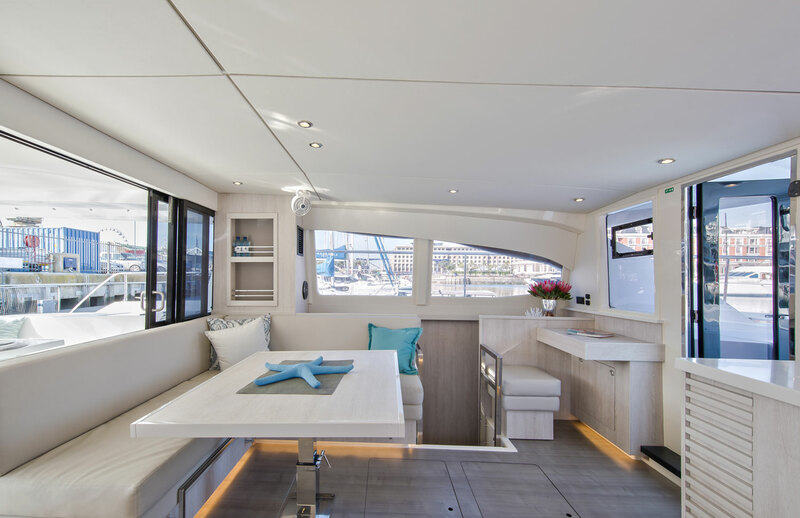 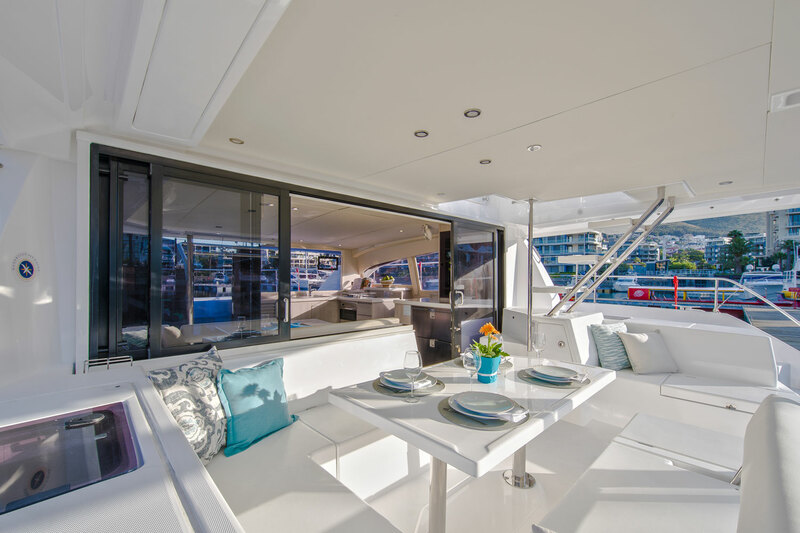 The Moorings 434PC offers the same features as the Moorings 433PC except with two guest cabins in the starboard hull instead of an owner suite. 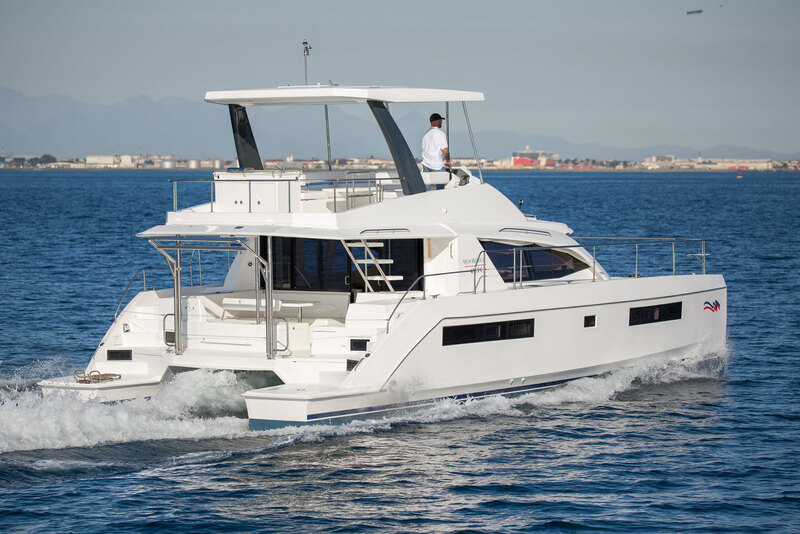 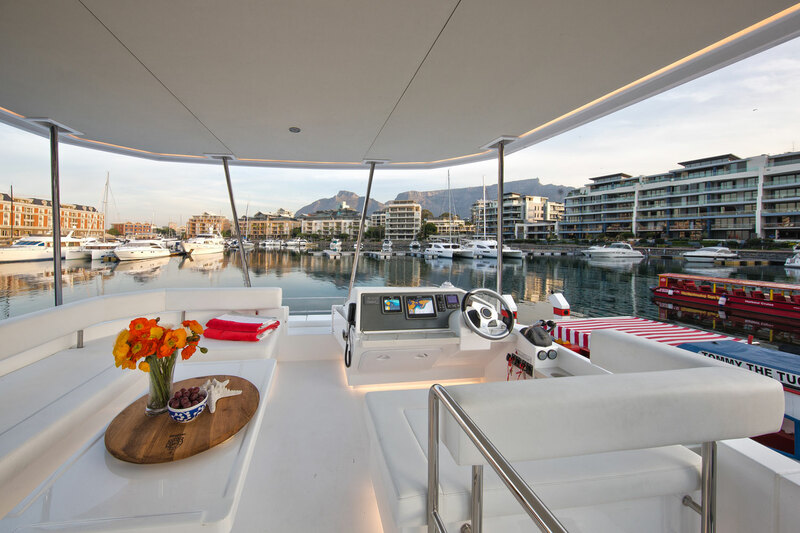 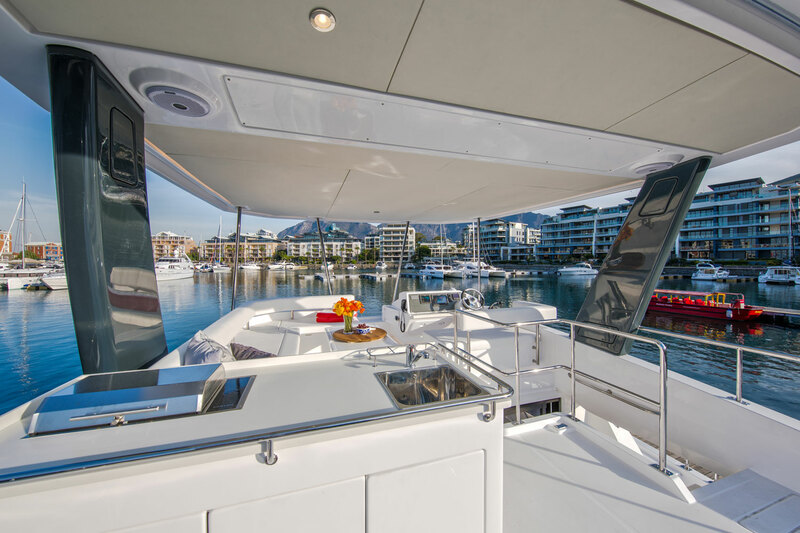 Robertson and Caine and Simonis Voogd designed built this model with many of the same amenities as the very popular Moorings 514PC, and managed to pack them into a smaller cat with remarkable success. 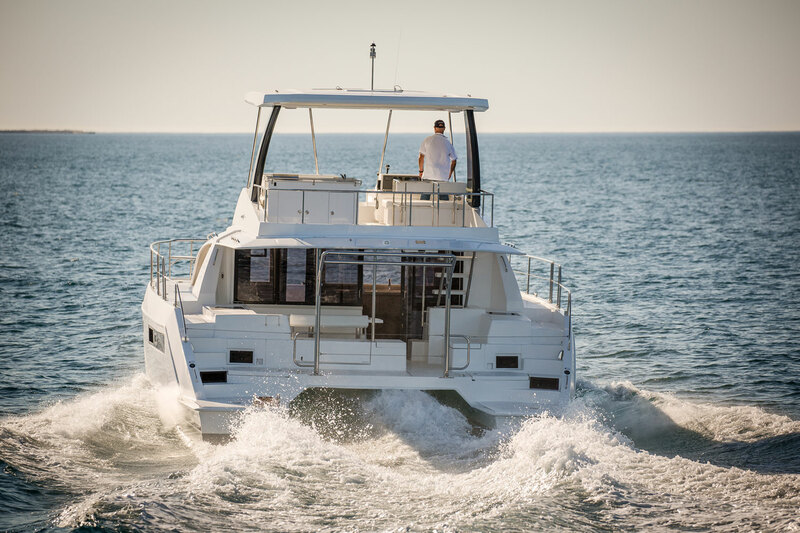 Simply put by John Robertson as hull number 1 reached completion on the factory floor, "The 43PC feels like a bigger boat." 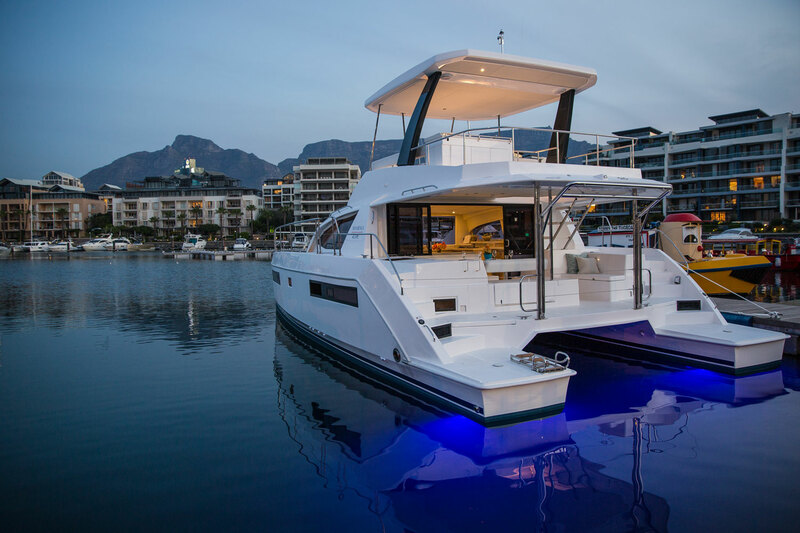 Like all Moorings powercats, she's fuel efficient, easy to handle, robustly built and comfortable.